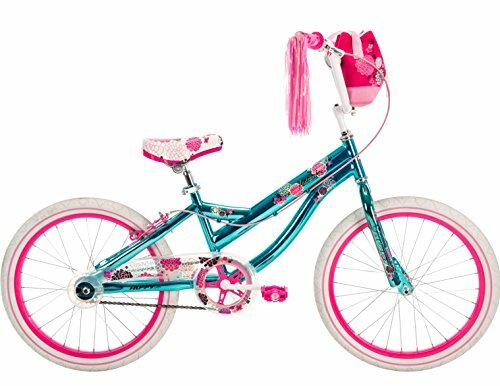 Huffy girls' 20 inch Jazmin bike will have heads turning when they see the super high-gloss Metalloid Vaporized coating which delivers maximum shine for a fantastic look! Removable fashion bag with cinch closure coordinates with a great look for more fun. Features easy-to-reach front and rear handbrakes, decorated padded seat coordinates with the bike design and alloy quick seat release ensure easy height adjustments. Huffy, "WE MAKE FUN!"